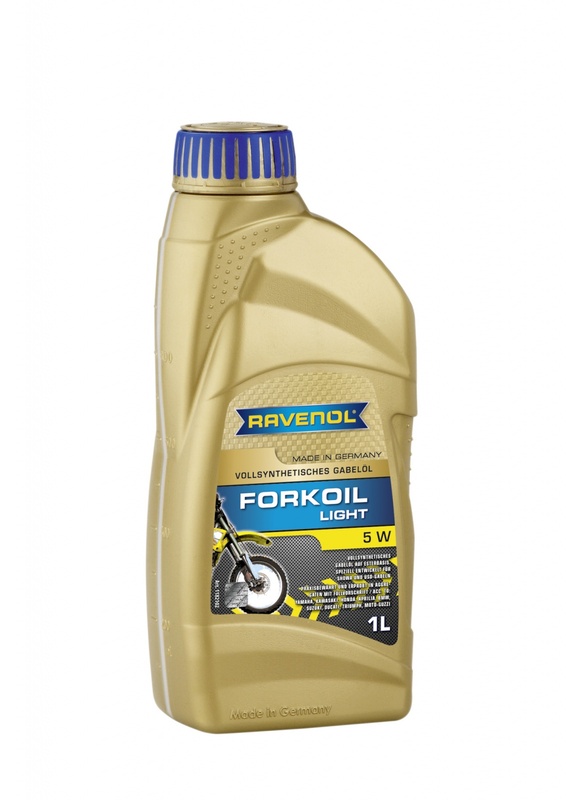 RAVENOL Fork Oil Light 5W is a fully synthetic, ester based fork oil which was developed for high performance motorbikes and especially for USD forks. The synthetic components and the excellent viscosity index provides optimal damping at all temperatures as well as an excellent air separation behaviour under all operating conditions, even when racing. RAVENOL Fork Oil Light 5W was developed for the use in all chassis components of two-wheeler vehicles and offers excellent power characteristics. In order to obtain the optimum viscosity for the vehicle and operating condition the fully synthetic fork oils are miscible among each other.